February 10th will see the opening of the Signal Gallery's first group show in their new Paul Street space in London. The show entitled Mixed Doubles is set to include a very strong group of established artists, some of whom have previously exhibited at The Signal Gallery. 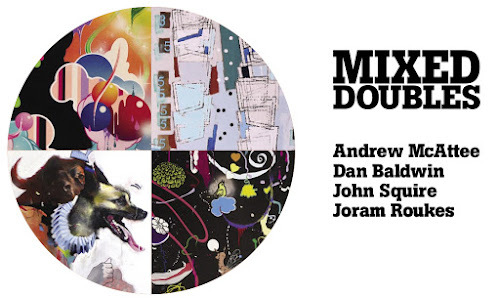 The show will include works from Dan Baldwin, Andrew McAtteem John Squire, Joram Roukes and Sean Madden. We are looking forward to checking this show and also seeing the larger gallery space they recently moved to. We suggest you mark the date in your diaries. The show opens with a private view on 10 February. 11 February – 5 March open to public.